Today I’m going back to basics and sharing some beautiful mason jar lid ornaments using my old reliable craft tools. Long before electronic cutters like my beloved Silhouette I used a manual die cutter, loads of dies and embossing folders. These were the craft tools that I used and loved for years along with stamps and embossing powders. I pulled out some of my favorites to make these cute mason jar lid ornaments. Over the years I have expanded my crafting abilities, but I will always have a love for simple paper crafts. I used to make all my own cards and gift tags and still enjoy the time I get to spend making these items. 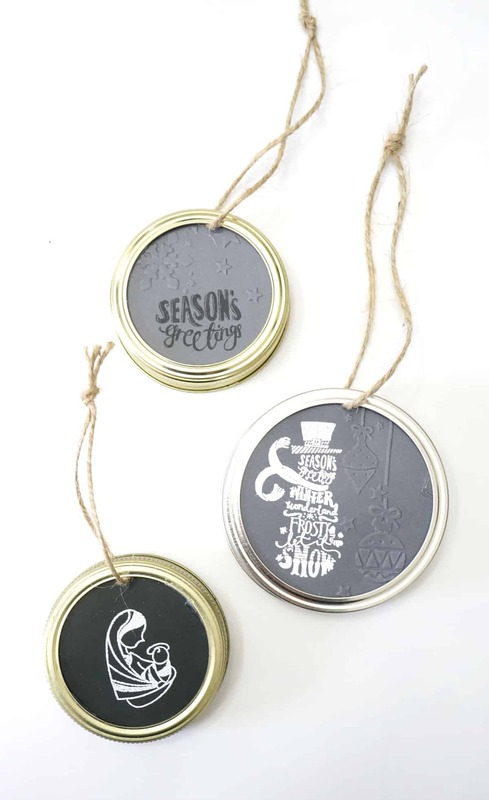 These mason jar lid ornaments are made with embellished cardstock and a jar lid. Take a look at this quick video to see how I made them. I created an embossed snowman stamp using watermark ink. This ink accepts embossing powder which, when heated, hardens and leaves a raised shiny finish. Embossing powder comes in a wide variety of colors and finishes. You can also use colored pigment ink and top it with a clear embossing powder to let the ink color show through. An embossing folder is a simple way to add texture to paper without any ink or heat. The Big Shot cutting and embossing machine works by applying pressure to the folder and pressing the image into the paper. 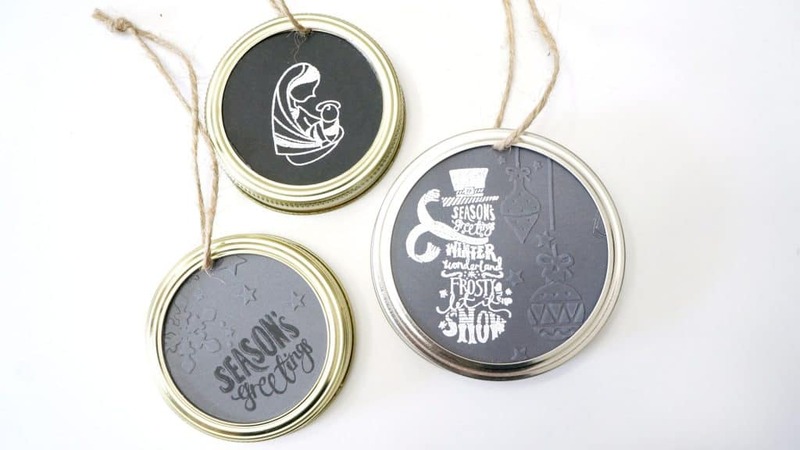 With a variety of stamps, inks and embossing folders at my fingertips I was able to make a half dozen of these mason jar lid ornaments in no time. Each one is a little different combination of some of my favorite techniques. When I got serious about crafting as an adult these were the tools I started with. What was the first crafting tool or technique that you remember fondly?